Anders Nilsson racing-team had a great season last year; Anders won the FIA race at Alastaro in Finland. This was his first FIA/EDRS win since he started racing in the Pro Modified. 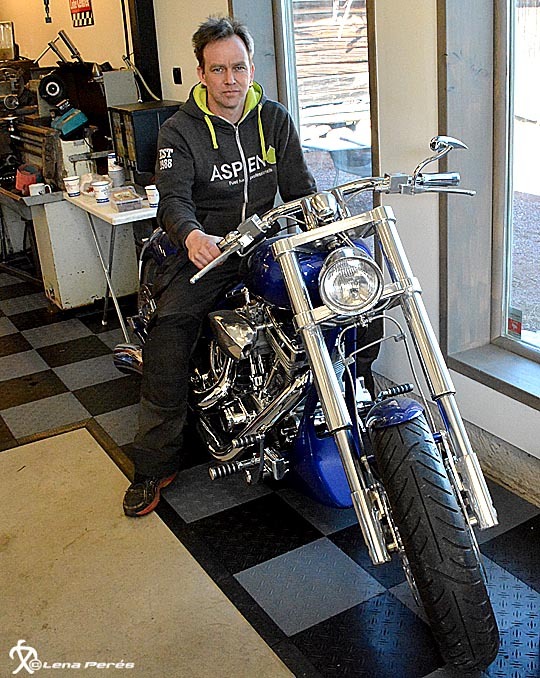 Anders ended up in seventh place in the FIA Drag racing Championship, fourth in the Swedish Drag racing Championship and third in the EDRS. The beautiful green Cuda is getting closer to what Anders had in mind when he started to race. -I like very much to develop engines and to get maximum effect out of them, says Anders. We have reached the limits with the Brad Anderson-engine we have raced with so far. So now we have put in another engine. Anders bought the Mike Janis built engine from Mattias Vulcan’s car that Mattias sadly crashed at Tierp in June last year. This engine is more powerful with more scope for development. -It´s a new system and new thinking behind that engine, says Anders. Mattias is coming with us at the start to give us some help. So we´re very keen to try it out. 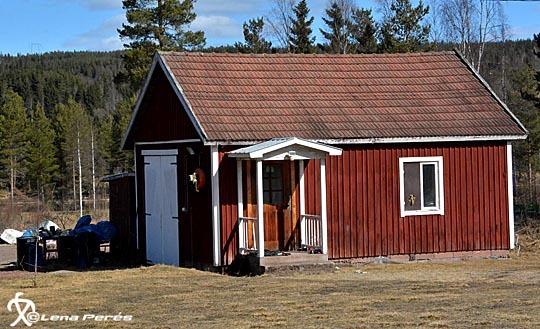 But we don’t have time to go to any races before the first race at Tierp Arena in June, so we just have to start it up here at the farm, and then hold on to our hats at the first Swedish event. -My granddad came from further south to work for the company that built the big dam that’s located here. And he met my grandmother who was brought up at the farm and settled down here. Being just a hundred meters from his job, the location of the farm was very convenient for him. Anders, has lived at the farm since 1999 and has renovated the house fully before turning his attention to the old barn, which he is converting into a cozy workshop for the team and racecar. -I had the garage in a smaller building on the land before, Anders tells. But it was too crowded and hard to work with the car there, so we needed something bigger. This was just an open barn for tractors and equipment, so I decided to put in walls and windows and made a little space upstairs where I can have a little coffee place and office. Right now one of the crew members has his bed there also! So the season starts very well at the Nilsson farm. And there are expectations of a very fast green Cuda coming out at the racetracks this summer. -I have always loved to be fast, says Anders. 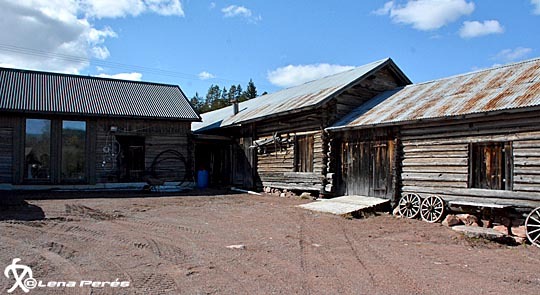 And I still hold the record of Älvdalen. There is a 1/8 mile track in the village where there use to be some local races. And at an event there I broke the track break out, which was 6 seconds. It was a bit slippery, but very fun. 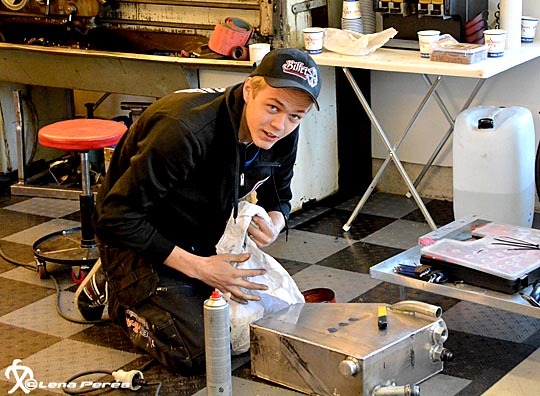 Anders Nilsson racing team will concentrate on the EDRS Pro Championship for 2016. But if that´s going well, there is a chance that we might see them at one of the FIA events as well. 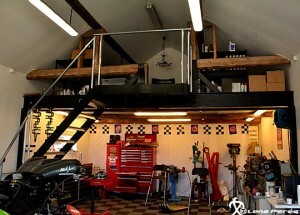 -It would be exciting to go to Hockenheim or even more Santa Pod, as the car comes from there. But we decide that when we see what´s happening with the car and engine in the first races, says Anders.